When all you need is a quick update to your glasses prescription, it might not matter whether you look for an eye doctor, ophthalmologist, optometrist, or optician; but when you need more specific eye care, to find the most relevant answer, it can make a difference. So what is the difference between all of these titles? Who do you need to make an appointment with when you need a basic eye exam, eye infection treatment, an updated prescription, or eye surgery? The title that requires the least training and education, an optician fills prescriptions (supply, prepare, and dispense eye care) that are written by optometrists and ophthalmologists. They are trained to design and fit glasses, frames, and contact lenses. Opticians don’t test your eyesight or perform eye exams, but simply work from the direction of optometrists and ophthalmologists. Training and education to become an optician is typically done through formal on-the-job programs, with the supervision of an experienced optician. They will learn how to properly measure eyes and adjust frames when patients come in requesting an adjustment. In the state of Virginia, anyone interested in becoming an optician needs to earn a license that is issued by the Board for Hearing Aid Specialists and Opticians. If you need an eye exam, you’ll want to schedule an appointment with an optometrist, or a doctor of optometry (OD). They are trained to test a patient’s vision, diagnose issues, treat, and manage eye conditions and changes. Optometrists are not medical doctors, but they do complete four years of optometry school. After gaining the necessary education, they are able to perform eye exams, vision tests, prescribing contact lenses and glasses, diagnosing eye conditions, and prescribing medication for eye diseases. 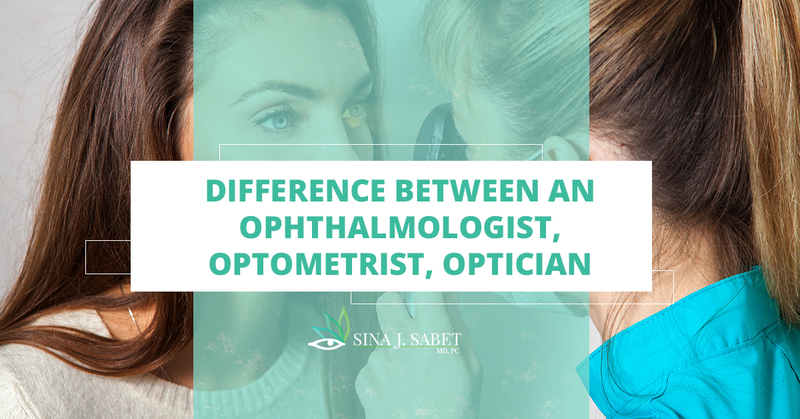 A medical or osteopathic doctor, an ophthalmologist specializes in eye care, diagnosing issues, and treating conditions with contact lenses, medication, or surgery. They must complete undergrad education as well as at least eight years of medical training, along with receiving a license. This type of eye doctor is capable of diagnosing and treating all types of eye conditions and diseases, performing surgeries, prescribing and fitting contact lenses and glasses, and many participate in research or become professors. Ophthalmologists can also receive additional training in order to specialize in certain areas. Subspecialties often require one or two years of additional education and training. Common subspecialty areas include glaucoma, retina, cornea, pediatrics, neurology, and plastic surgery. At our Alexandria eye doctor office, Dr. Sina is certified by the American Board of Ophthalmology and the National Board of Medical Examiners. 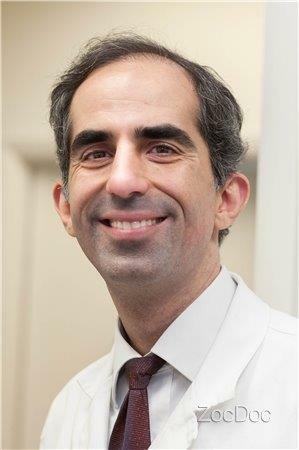 Dr. Sabet completed his ophthalmology residency at the Medical College of Wisconsin and has completed fellowships in ophthalmic pathology, uveitis and ocular inflammatory disease. He has been practicing in Alexandria since 2002 and is an assistant professor in the ophthalmology and pathology department at Georgetown University. When you schedule an appointment with us, you may also work with his team of licensed optometrists, Tara L. Stanley and Anthony B Kouchak. Whatever your eye care needs are, from contact lenses to eye surgery, you can count on Dr. Sina Sabet and his team. We are passionate about diagnosing and treating eye conditions so that our patients can live high-quality lives. Schedule an appointment with a top-rated Alexandria ophthalmologist today.